Your Instant Guide to Baking Perfect Cookies EVERY Time! Stop wasting time, stop throwing money away on ingredients, and stop getting frustrated with inconsistent results in the kitchen. Everything you need in one valuable resource that’ll become a staple in your kitchen. The hunt for the best recipes & tips is over. No more guessing. With this scientific yet visual guide, start creating your very own ultimate recipes to share with your friends and family. They’ll love you for it! Bake absolute PERFECT cookies every single time… no matter what your definition of ‘perfect’ is. Get my BEST meticulously tested recipes that even a 5th grader could follow. FINALLY get the answers to practically every “what went wrong?” question so you can gain unshakeable confidence in the kitchen! Learn the science of baking to MASTER any recipe… even if you hated chem class in high school. SHOCK your friends when they find out you made those perfect cookies from scratch (‘cause they’ll never believe you didn’t go to an overpriced bakery). -MORE recipes! I’ve added more meticulously tested recipes to the Ultimate Recipes chapter. These are the recipes that will make you look like a baking hero, the recipes that will have everyone closing their eyes in delight when they take that first bite. -VIDEOS! If you’re a visual learner like me, I’ve got you covered. Not only are there photos to illustrate literally every single point in the eBook, I’ve created 3 ultra detailed HD training videos so it’s like I’m in your kitchen guiding you along the way. -PRINTABLES! The beauty of an eBook is that you can instantly have it on your phone, tablet, and computer so it’s handy wherever! But if you’re a little old-fashioned and prefer something physical, I’ve also got you covered. I’ve had my professional designer create printable recipe cards annnnd a couple handy baking cheat sheets. There are many cookbooks out there about cookies, but few cover the science of baking in a completely foolproof, fun, and visual way. Until now. Ever scratch your head and wonder why a recipe didn’t turn out like the picture? You see a fabulous cookie recipe on Pinterest. You buy all the ingredients and get to work, making a mess. You’re so excited when the timer goes off… but you end up utterly disappointed when something goes wrong. The cookies look nothing like the picture. They’re too flat, puffy, greasy, crumbly, hard, bland, or just not what they’re supposed to be. You just wasted time and ingredients on something no one wants to eat. You don’t know what went wrong and feel completely frustrated. Imagine instead if you knew exactly how to bake up perfect cookies every time. No guesswork. They look just like the picture and all your friends and family beg you to share the recipe. Imagine that you are able to recreate your Grandma’s secret recipe or the local bakery’s. Imagine that you can create your version of the ultimate cookie, the cookie of your dreams, consistently. Like everyone, I’ve had many frustrating batches of failed cookies. I tried following tips I read and while some worked, others didn’t. I simply didn’t understand the science of baking and it was creating inconsistent results. I realized I needed to actually SEE the baking science in action so I could understand it. I published the results of one of my first crazy baking experiments in my Ultimate Guide to Chocolate Chip Cookies post that has been visited by over half a million people since! 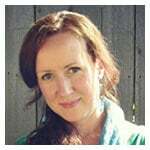 You can think of The Ultimate Cookie Handbook as my Ultimate Guide blog series on steroids! 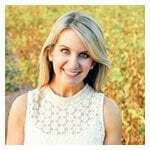 As a professional chef and published cookbook author, I know TOO MUCH about cookies and am desperate to share! I’ve done the hard work for you. I’ve created a detailed and handy valuable resource so you can see how cookie science works alongside actionable tips, tricks, and secrets to answer ALL your cookie baking problems. You can even use this guide to write your own perfect recipes! No more failed cookies. Just FUN in the kitchen. This chapter is loaded with information to improve your baking for the rest of your life. This chapter includes more tips, tricks, and advice than you’ve ever seen in one chapter before! Here’s where I get into the nitty gritty details of cookie storage so your cookies are always fresh. I also cover oven 101 because we all know ovens are practically as individual as fingerprints. I even share a Basic Cookie Recipe Base to use as a starting place for creating your own cookie recipes with what you learn from the rest of the book! Lastly I cover the Anatomy of a Cookie so you can understand how each ingredient works. You’re guaranteed to learn something new! Just like in my Ultimate Guide series, the tweaks and changes shared throughout the ebook are all based on one control recipe. This allows you to see exactly how the changes impact the final cookie! I am so excited for you to get your hands on this chapter. I’ve taken all my cookie experiments alongside my expertise to transform it into an easy guide for you to customize ANY cookie recipe. This is where you can create your ultimate cookie recipes, the cookies of your dreams! I’m sharing the secrets to creating your own perfected go-to recipes everyone will beg you to share. Whether you want chewy, soft, cakey, thick, thin, or crisp cookies, or whether you want to recreate your favorite bakery’s recipe, here is everything you need in one easy place. Lastly is the recipe chapter. Now I get to share my most adored cookie recipes. From 5 variations of the chocolate chip cookie to snickerdoodles and peanut butter and everything in between, these are the tried-and-true favorites that everyone craves. 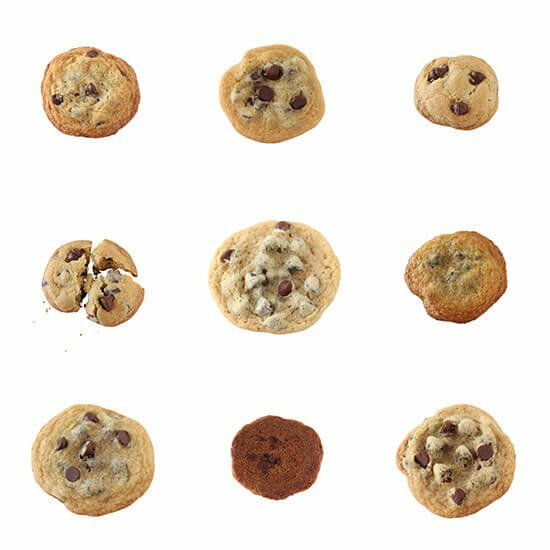 This is where the knowledge from the earlier chapters comes together to give you what I consider to be the “ultimate” versions of each classic cookie. This chapter is about QUALITY over quantity, containing 15 meticulously tested recipes that you will make again and again. I've been following Tessa for a couple of years now, so when she published her book, I got it right away. Tessa does not disappoint! All her directions are simple and to the point. She reminds me a little of Rose Levy Beranbaum as she explains why something happens. Her recipes are a thoroughly enjoyable read, and make baking something to look forward to. You owe it to yourself to get her book. I'm so glad I bought this e-book. It is so straightforward, concise (as can be) yet thorough. I love how Tessa goes through scientific reasoning of ingredients and baking. 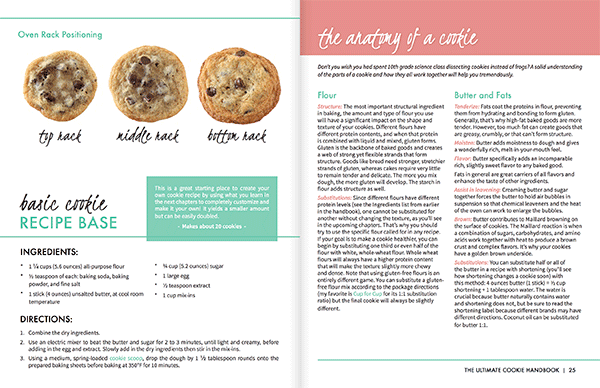 The layout is perfect and I love the section on how to achieve the type of cookie you like. I love baking chocolate chip cookies and I am looking forward to trying out all her tips and tricks. At first I wasn't too happy it was an ebook (I like hardcopies) but I am printing and binding it to add to all my cookbooks. What a steal. Incredible that someone takes the effort to try out all the combinations how different ingredients and ways of treating the dough will give you a different result. In this way you really can find your own favorite cookie. Tessa explains very well how small things can change your cookie. So, you also learn about possible mistakes you made. Also I like that it's an e-book! You've it always with you and it's better for the environment. The layout and the photos are nice and clear, it's a pleasure to bake with this Handbook! Chocolate Chip Cookies have been my favorite cookie since childhood. I have been collecting recipes for years. What I loved about Tessa's book is that I could see visually what the outcome would be using different ingredients and techniques. I found out by accident that I liked the texture of my cookies when I chilled the dough and baked them off the next day. I'm the kind of person who needs to understand why things turn out the way they do. It has to make sense in my mind. Thank you, Tessa, for considering people like me when you wrote your book. I love the creative aspect of cooking, but I have a deep respect for the scientific part of it as well. I need to know why I succeed or fail. This book includes wonderful recipes, but it is so much more than that. What I really appreciate is all of the "How To" information. It lists ingredients and their purpose in the recipe. It shows pictures of why your cookies may be turning out a certain way due to your ingredients and how to customize your cookie if you desire. It covers every aspect of making a cookie. The Ultimate Chocolate Chip Recipe is incredible! I absolutely love this book! It's worth EVERY PENNY! This is not your average cookie book with recipes. Yes, she does have yummy recipes. But she literally deconstructs a cookie and gives you the science behind it. Baking soda vs. Baking Powder. How oven rack positioning affects the appearance and the taste. White sugar vs. brown sugar. How to properly measure ingredients (weight vs. volume). This book is chock full of information. It is well organized and written. Thank you so much. I found her randomly on Youtube. 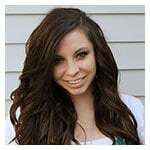 Love her videos. I then purchased her ice cream sandwich book (which is also great by the way). This book is pure awesomeness too!! For the price of $39, you get instant access to an entire education on cookie baking. It cost me countless hours, ingredients, and an expensive culinary school tuition to learn the things I share in this book. It is so much more than a cookbook because it actually gives you the tools you need to customize and create your own cookie recipes for life. It will improve your baking forever. Not to mention this handbook will pay for itself once you stop wasting time, ingredients, and energy on failed cookies no one wants. If you don’t LOVE this Handbook, you have 30 days to get all your money back. Since it’s a digital product, you still get to keep the book even after being refunded. Why would I do this? Because I’m confident that you will love the book. I wrote it after YEARS of studying in culinary school and testing and experimenting with literally hundreds of batches of cookies. Truly, this eBook isn’t just about making cookies. It’s about understanding the science of baking in a way that will give you complete confidence in the kitchen. That’s my life’s work. How many more failed or mediocre batches of cookies will you make? How many more times will you try out a recipe only to be disappointed? Instead, impress your friends and family with your baking prowess and delight them with the best cookies they’ve ever tasted! Learn to bake like a PRO. Do you know what the biggest mistake people make while baking recipes at home? It’s a mistake that’s reflected in so many of the comments, emails, and messages I get from frustrated readers. The biggest mistake is not treating baking like a science. Luckily you don’t have to understand the complicated chemical reactions involved, but you do have to understand the basics to create beautiful treats consistently. That’s why I’ve spent months crafting The Ultimate Cookie Handbook so you can become the expert and learn how to bake perfect cookies every time. Now you have every possible answer to “what went wrong?” or “how do I make my cookies more ________! ?” It’s like I’m right there in the kitchen with you! Your cookies no longer have to be a hit-or-miss mystery! 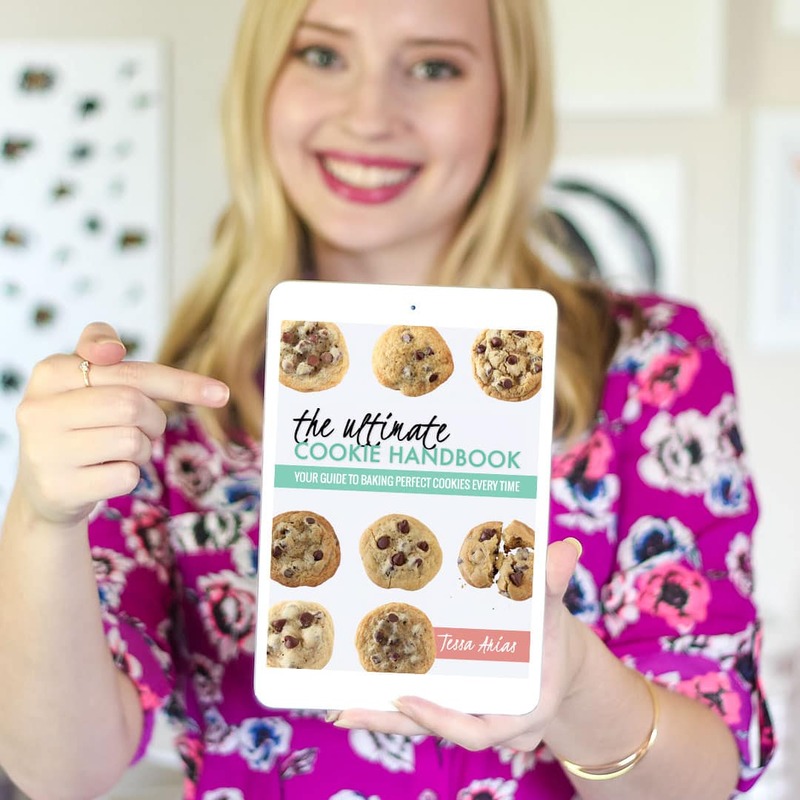 With this handbook, you can become the expert, graduate from cookie culinary school, and finally create your version of every ultimate cookie recipe to delight your friends, family, and your taste buds. It will become a staple in your kitchen. Learn how to make your cookies chewy, soft, cakey, crisp, thick or thin because everyone has different tastes. Learn how to create your go-to perfected recipes. Or simply learn how to become fearlessly creative in the kitchen. It is so much more than a cookbook, focusing on giving you a lifetime of knowledge rather than a bunch of variations of the same recipes. In fact, there’s only 16 recipes in this book! But they’re the ones that will end your perfect recipe search. 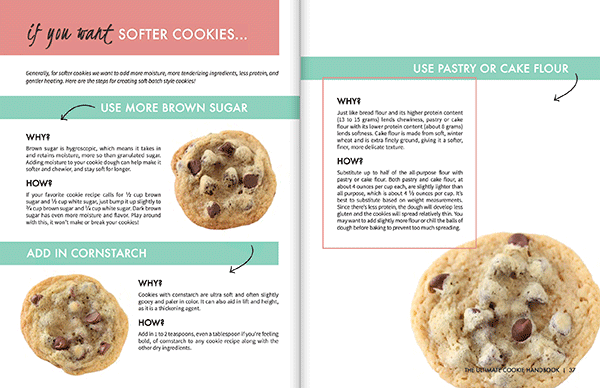 The Ultimate Cookie Handbook is an eBook. 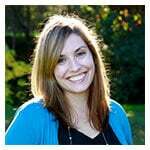 This means it’s a budget-friendly, eco-conscious, downloadable digital cookbook delivered instantly right to your email. No waiting for it to arrive in the mail and no need to make a trip to the store. This allows me to include ALL THE PICTURES and share in our mutual obsession together without the expense and hassle of printing. You can view it right on your computer, smart phone, or tablet. When downloading on your computer, the eBook will download right into your Downloads folder and you can move it anywhere for storage from there. If using an iPad or iPhone, it will open in Safari and then you can save it into iBooks. Can I save and share the book among multiple devices? What about giving as a gift? 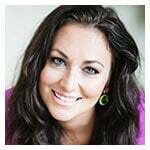 My goal for this eBook is for you and your family to use and share it just like you would a physical book. You can save it to various computers, smart phones, and tablets in your household. To give as a gift, simply hit one of the buy buttons on this page, then hit the little gift icon on the payment form to allow for gifting. Are there wheat-free, dairy-free, gluten-free, vegan, low-sugar, etc. recipes? No. There is ONE “skinny” chocolate chip cookie recipe but beyond that I do not extensively cover dietary restrictions in the book. That would be a book-length topic in itself! I also do not include high-altitude baking information because it is something I have zero experience with. Is the book only about chocolate chip cookies? No! The Customization and Troubleshooting chapters can be applied to ANY kind of drop cookie and the Ultimate Recipe chapter includes various cookie recipes, though there is an emphasis on chocolate chip because of its popularity!